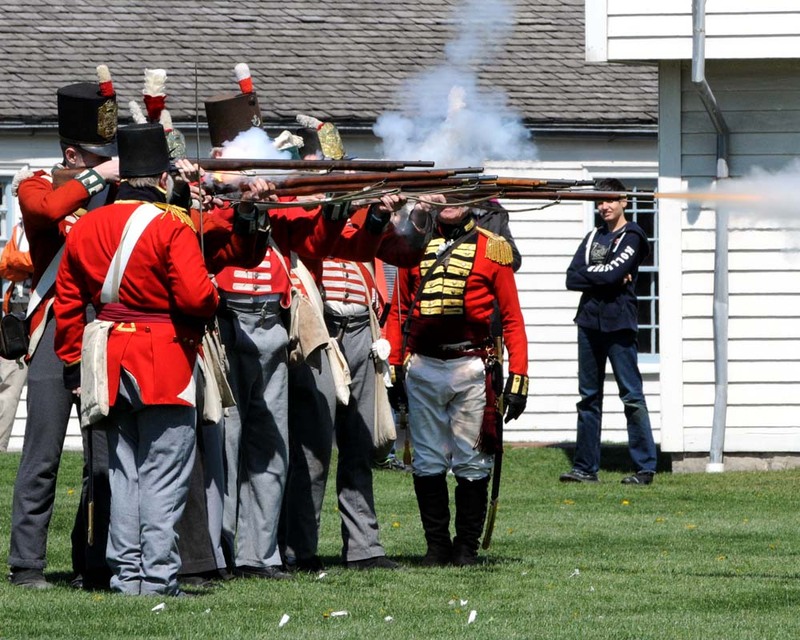 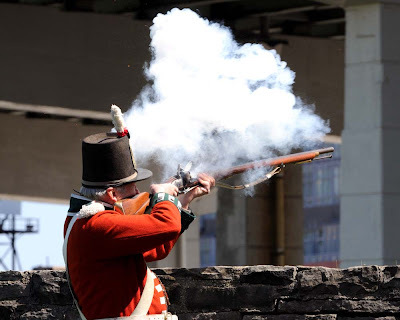 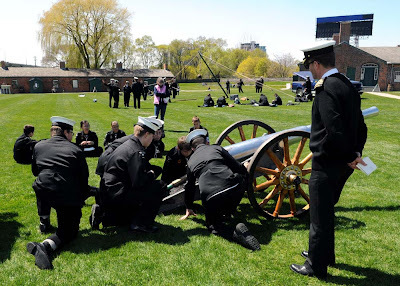 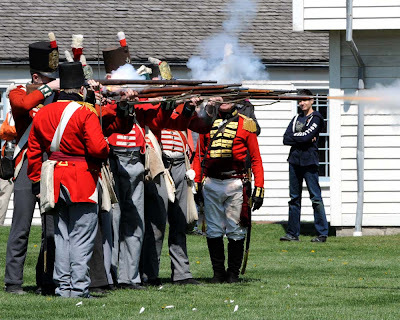 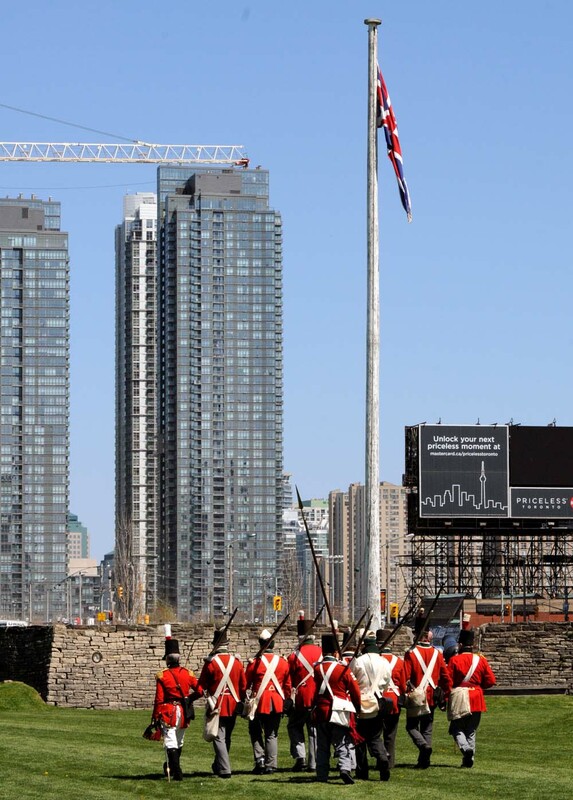 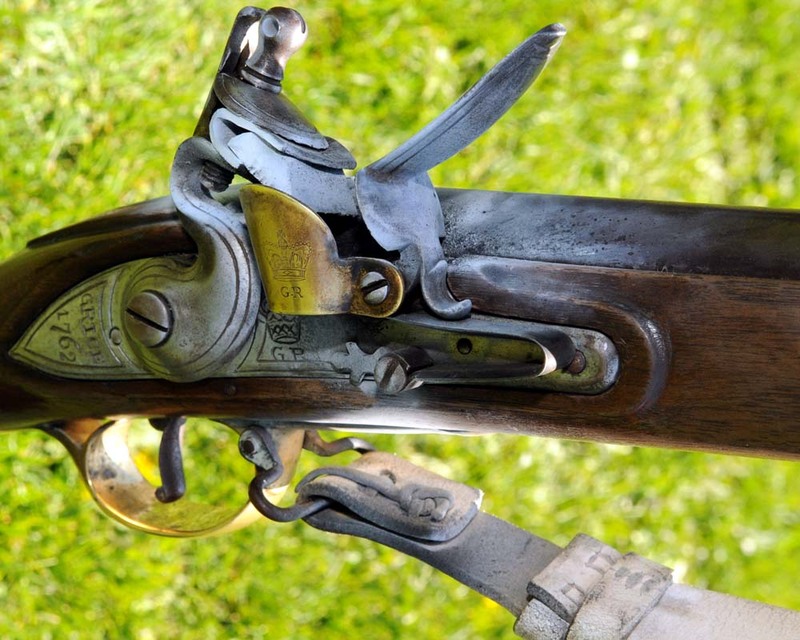 Sunday April 29, 2012 felt the crack of muskets as Historic Fort York commemorated the Battle of York with all day displays of naval gunnery, seamanship and military drills. Royal Canadian Sea Cadet Corps (RCSCC) were on hand to parade the HMCS York flag and load cannon. 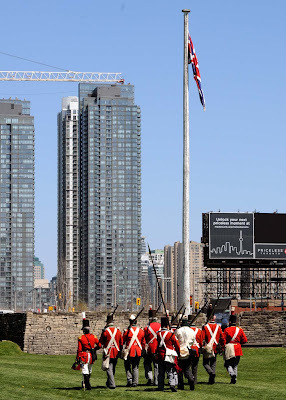 The battle was fought in York, Upper Canada (now Toronto) April 27, 1813 as part of the War of 1812. 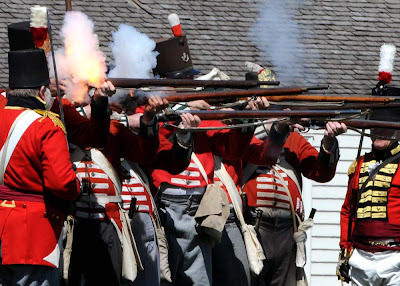 The Americans captured York burned and looted until they withdrew from the site. "Tours will depart regularly explaining the Battle of York, science of fortification, and 1812-lifestyles. In the fort’s 1826 kitchen there will be demonstrations of Georgian-era cooking techniques. 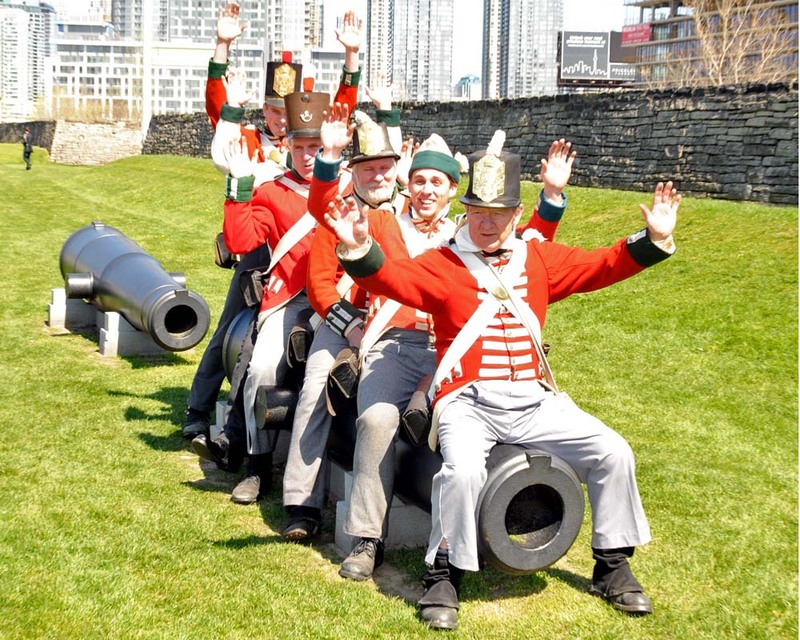 Children will be able to “fall-in” to learn the same drills practiced by the Canada militia in 1812, or to talk with period-animators in the Soldiers’ Barracks."